Kristina Baluchova has written six books so far. The first three titles were dedicated to an adult audience. In the framework of the work in Pluto NGO and later during the preparation for the motherhood, the author began to focus more on children readers. 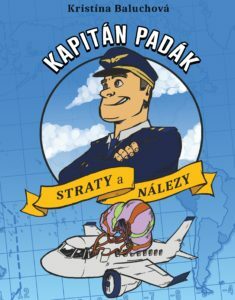 The last three children’s books have already been published under the brand Plutosop and the series “Captain Parachute / Kapitan Padak” was created. During the autumn holidays, the main hero, a sympathetic pilot of Boeing 737: Cpt Daniel Padak meets with young Slovak-Australian pilot Milan and his mother – veterinarian Matilda. One day, however, the book hero becomes involuntarily part of a smug link! In the cargo of his aircraft rare falcons appear to be transported illegally from Europe to the United Arab Emirates... Is it possible that Captain Padak and his old friend Peter Kufor have something to do with this illegal activity? Young readers will become witnesses to the courageous underworld plan of Daniel's brave niece Ivanka who is ready to clear up uncle's story and at the same time to bring down the criminals (rare birds' smugglers). In the first volume of the Kapitan Padak (Captain Parachute) series, Cpt Daniel Padak will show you the secrets of Boeing 737 and he will also bring you into the waters of the Pacific ocean. Daniel Padak, his sister Eva with a funny nickname, his old friend and traveller Peter Kufor, as well as a curious niece Ivanka – these are the heroes of the story that allows readers to move across different latitudes, widths and flight levels, while recognizing new habits and other cultures at the other side of the world. In this story you can acknowledge the power of friendship, but you will also have to solve the mystery of an international date line. 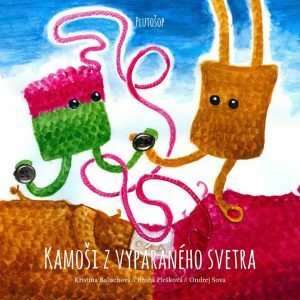 This book covers the stories of buddies made from the ripped cardigan strings in educational way. The poems in the book are illustrated by pictures of Ondrej Sova, who turned the garbage into an exhibition area. The book offers an interesting food for thought – why toys, clothes, pets or even people have to end up at the edge of society's interest too soon. By purchasing this book people directly support the activities of Pluto NGO. 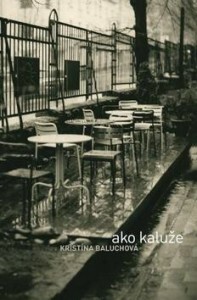 This is Kristina's third book, but the first poetry collection, published by Limerick publishing house. It contains twenty-two poems that cover one day in the author's life. The book is illustrated with beautiful photographs from Kristina's friend and photographer Roman Ferstl. The second book brings the story from the aviation environment again. 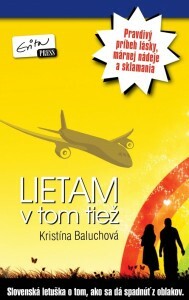 It covers the thoughts and feelings of experienced pilot Pavol from a perspective of a passenger. 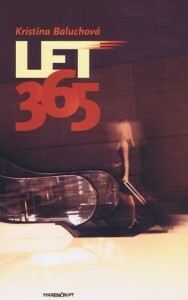 During the flight from Dubai to Lagos he observes the passengers' details that he has not so intensively seen before. It's a sensual drama full of melancholy and memories on childhood, youth times and first love experience under the High Tatras. 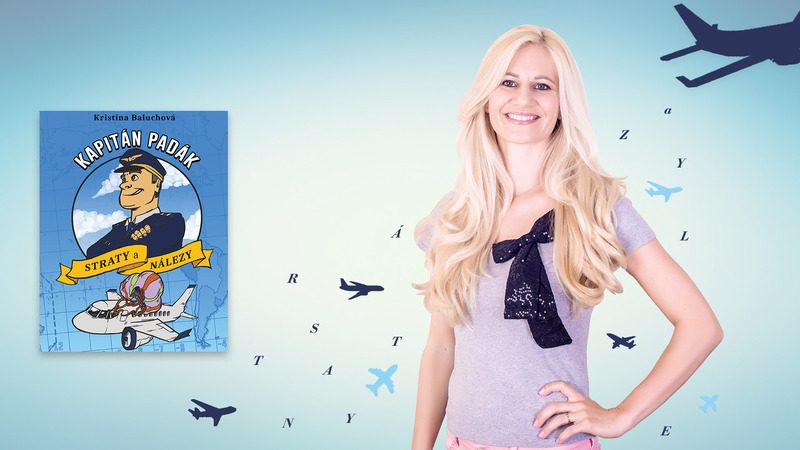 This debut is a nostalgic novel, mapping the story of a flight attendant who used to work for no-more-existing Sky Europe Airlines. In each chapter the main heroine Kristina has to face a serious decision making together with her co-workers. Despite the fact that the work of flight attendant or the study of psychology is on a dream-list of many girls – it's not as easy as it seems at first glance. The book is a quick-read with plenty of sad moments (airline crash, close man's adulthood, firnd's father's illness, internal crisis), where we can find parallels with real life events near us. Kristina was born on the 5th of April 1983 in Kežmarok, Slovakia. She studied high school with specialization on foreign languages under the High Tatras. Later she graduated from the University of Ss Cyril and Methodius (Faculty of Arts), her major was psychology. She moved to Bratislava, completed the cognitive-behavioural psychotherapeutic training, attended several courses in HR management. She was a part of charity projects in Kenya and Bangladesh. She also joined a short Buddhism course in Nepal. During her university studies she used to work five years as a cabin crew. After graduation ceremony she moved into HR business as a psychologist, then she started to focus on social inclusion. Kristina is a founder and CEO of Slovak NGO, called P(L)UTO www.ozpluto.sk that focuses on social inclusion in innovative way. In 2014 she moved with her partner to United Arab Emirates, got married there. Her daughter Vilma was born there. Besides writing, reading and motivating others to read she likes to practice a yoga. She loves traveling and flying (her grandfather, uncle and also husband were pilots). Her books cover the stories related to aviation field. Kristina lives in Bratislava, Slovakia now trying to enjoy maternity "leave" by writing tales for children. Slovak NGO Pluto was founded in 2011. Main focus was on social inclusion of people with disabilities and special needs. Kristina Baluchova as a founder and CEO of Pluto NGO was able to network more than twenty Slovak sheltered workshops and social centers in order to interconnect charity and design/fashion in innovative way. Clients from these centers produced original hand-made products as a part of art therapy and Pluto members tried to promote, as well as sell them to public in little charity shop, called Plutoshop in Bratislava city center. For five years Pluto NGO (www.ozpluto.sk) supported the creative productivity of people with special needs and promoted the vision of social inclusion in Slovakia. The organization is in a hibernation phase right now because of maternity duties of almost all founding members.